Wilson Belanger, 83, of Cromwell, formerly Plainville, for many years, passed away on Monday, July 30, 2018, with his family by his side. He was born on April 22, 1935, in Caribou, Maine, a son of the late Francois and Josephine (Sanfacon) Belanger. Wilson was the loving husband of Louise (Vaillancourt) Belanger for 64 years. He retired from New England Aircraft as a machinist and worked for O'Brien Funeral Home for over 20 years. Wilson was a compassionate friend to many of the residents in Spring Lake Village, always giving a helping hand to any one in need. He enjoyed playing pool at the Plainville Senior Center and was involved with the Retreat League and Plainville Food Pantry. He was loved by many and will be missed dearly. 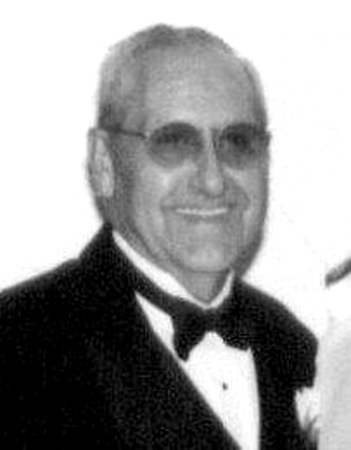 Besides his wife Louise, he is survived by his sons, John Belanger and his wife, Sharon of Plainville, Peter Belanger and his wife, Kathy of Colchester, Gary Belanger of Plainville; daughters, Elaine Belanger of Plainville, Audrey Belanger of Bristol, Carol Beverley and her husband, Craig of Cromwell; grandchildren, Nicole Baker, Matthew Belanger, Eric Belanger, Heather Lizon, Kimberly Santoro, Mark Creamer Jr., Briana Beverley and Isabella Beverley; 12 great-grandchildren; brothers, Joel, Nelson, Walter, and Richard Belanger and several nieces, and nephews. He is predeceased by his brothers, Lionel, Lewis, Patrick, Edward, Aurele, William and Bernard Belanger, and sisters, Louise McNelly, Cecile Guerette, Blanche Cowett, Irene Lajoie, Doris Plourd and Joann Speziale. Calling hours will be held on Thursday, August 2, 2018, at O'Brien Funeral Home, 24 Lincoln Ave., Forestville, from 6 until 8 p.m. A funeral service will be held on Friday, August 3, 2018, at O'Brien Funeral Home at 10:30 a.m. followed by a procession to St. Joseph Cemetery, Plainville. In lieu of flowers, donations can be made to the Plainville Food Pantry, 54 South Canal St., Plainville, CT 06062. To leave an online message of condolence, share a memory or a photo, please visit Wilson's tribute page at www.Obrien-FuneralHome.com . Posted in New Britain Herald, on Tuesday, 31 July 2018 18:56. Updated: Tuesday, 31 July 2018 18:58.